Look at the disproportionate appendages, the look of glee on his face as he licks blood from a spoon (or possibly a lollipop; it's too small to tell, really, but blood totally wouldn't be surprising). December is supposed to be the most to be the most wonderful time of the year. 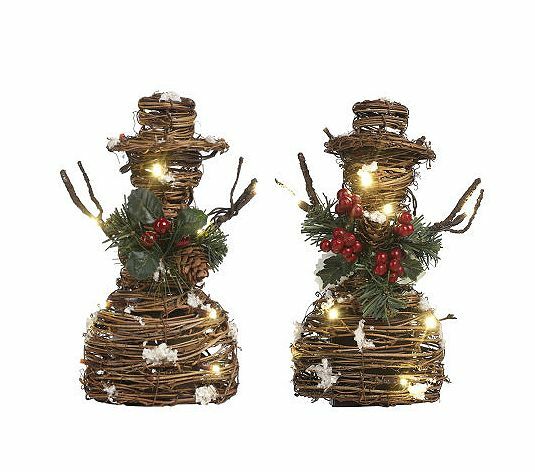 Unfortunately, retailers also think it's supposed to be the time you decorate the family abode with ridiculously creepy fairytale creatures. The following are nine more figurines that will leave you wondering why Halloween is supposed to be the only spooky holiday of the year. 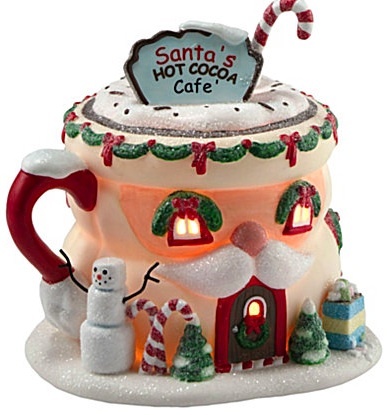 Santa is holding what looks to be a shiv like he's gonna cut somebody and has little men glaring at you from under his skirts. WHAT IS GOING ON HERE? This could be a prop from any number of Tim Burton movies including Beetlejuice and The Nightmare Before Christmas. 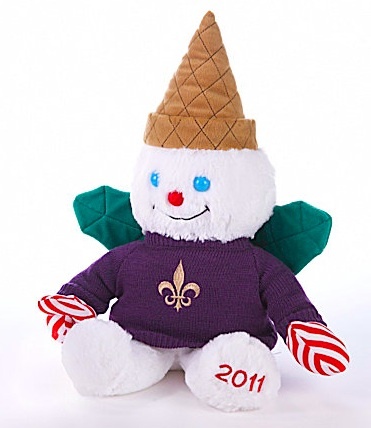 Anybody else notice that the snow fairy's head looks like a dropped ice cream cone. IS DILLARD'S TRYING TO PROMOTE CANNIBALISM?!? 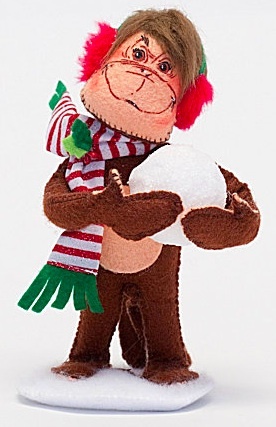 This is supposed to be a jolly monkey holding a snowball. I just see a horrific Planet of the Apes extra with a Justin Bieber haircut. 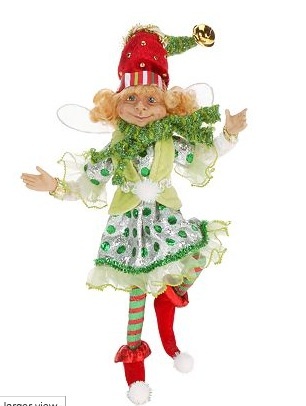 Is the pixie coming in for a hug or to consume your happy Christmas memories like a holiday-themed Dementor? 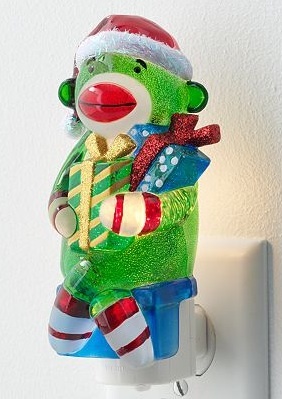 Whether it's a little green man bearing explosive gifts or a diaphanous sock monkey, this creepy little guy looks like he'd be happier using your loo than lighting up your darkened room. 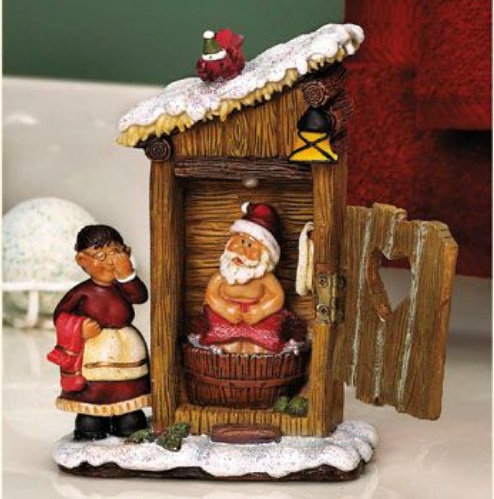 Aaaand speaking of the bathroom, I DON'T NEED TO SEE SANTA DEFECATING OR HAVING QUALITY "ALONE TIME". 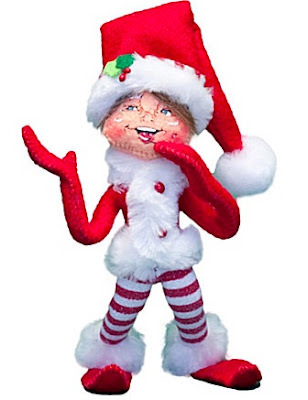 WHY WOULD SOMEONE WANT TO DECORATE THEIR HOME WITH THIS? Julius Caesar claimed that Druids built large wickermen and placed human sacrifices inside, burning them alive. Obviously, he made a mistake and the ritual was really practiced by ancient clans of snowmen. OK. Fine. 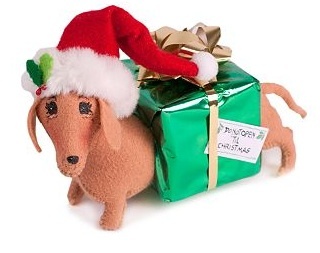 There's nothing actually creepy about this one but I feel like there has to Justin Timberlake-Andy Samberg daschund in a box joke in here somewhere. 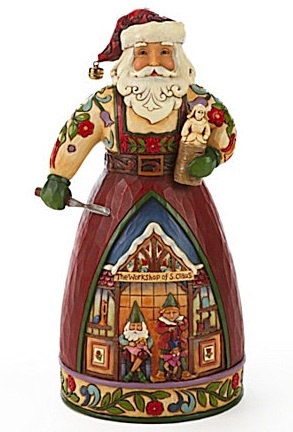 The carved wood santa that is carving a wooden person is weirdly recursive. What is that even supposed to be? Some sort of golem working tirelessly in the medium it's made out of, or is it making an army of itself? He's definitely making a tiny army.